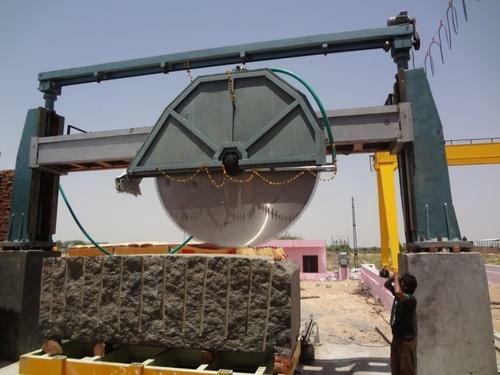 2000mm single blade block cutter is widely in use in Indian market, cutting granites in different color and hardness, from soft to hard granites, 2000mm or 80 inch saw blank in thickness of 8.0mm and with segment size 24x10.6/9.8x15mm in M shape is most popular size for Indian markets. Indian market is with lots of single blade block cutter, mostly in diameter 2000mm and 2500mm and now step by step shift to use multi cutter with max. blade 2200mm or 2500mm for higher production efficiency. if you require multi cutter segments for 5.5mm or 6.5mm thickness blades, also available. Q: Where is your factory located? How can I visit to your factory? A: We run two factories, one in Shuitou, one of the world’s stone center and one in Jinjiang Industrial Area, you may fly to Xiamen Airport or Jinjiang/Quanzhou Airport, or take fast train to Jinjiang Station if you already in China. We will go meet you and pick you up to our factory. Q: How can we know your quality? A: Our products are commented high performance and quality stable, since most of our customers are importers or resellers in the market, if we are selling to your market, if give some references so that you can understand our quality level. If not, you are suggested to make a trial order in small quantity to test. Q: Do you offer free sample of your product to Test? A: As for now, we do not offer free sample to test, but we guarantee our product quality and offer replacement if quality does not match your request. Q: If we need technical support, can you help us? A: Yes, our engineers and application engineers are with industry experiences and are happy to help you for any technical assistant, which is part of our services. Our factory is a team in services for all customers. Q: If quality good, we plan to make our logo on package, is it possible? A: Our customers are most importer or reseller and some of them also sell with their brands, so we have rich experiences. We also help some customers make customized design for cartons or packages as well. Q: What are your best selling products? A: We are one of the professional manufacturer and suppliers of abrasive and diamond tools in China, our best sellers include Frankfurt Abrasives for Marble Polishing, L140 Fickert Abrasive Stone for Granite Polishing, Metal Disk/Resin Disk/Buff Disk for Granite, 4”/100mm Diamond Polishing Pads, Single Cutter and Multi Cutter Diamond Segments, 350-400mm Diamond Saw Blade and Diamond Wire Saw for Granite Quarry. Q: Why you always advise us to use your shipping agent? A: We have good cooperation with our shipping agent and they offer professional services. For sea shipment or air shipment, you will get a quotation not only sea freight but also your local port charges, so that you can compare and see if cost is acceptable. For Express delivery, sometimes our agent get better rate than our contracted prices from DHL, that’s why we suggest you to ship with our agent to cut cost down. We're one of the most professional China manufacturers and suppliers focusing on various diamond tools. If you're looking for 2000mm granite cutting segments, please feel free to place orders with us. Good performance, competitive price and excellent service can be assured.